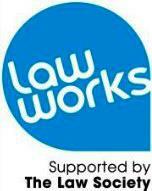 LawWorks and the Bar Pro Bono Unit will launch the Law School Challenge on Monday 7th November 2016 to coincide with the start of National Pro Bono Week. Last year was the most successful year of the Challenge so far, and it would be great to better it this year. It’s so easy to take part in the Challenge, just register your interest by emailing communications@barprobono.org.uk and you’ll be ready to go. In case you need further enticement, there will be mid-way prizes awarded to the team’s leading the fundraising tally at the end of January 2017. The team that raises the most money by 31 March 2016 will receive the Student Pro Bono Award, given by the Attorney General at a ceremony in April 2017. Last year, teams raised over £15,000 for our two organisations. The impact that this amount of money has cannot be overstated. Without the commitment of pro bono-minded students like you, we, and more importantly, those we assist would be in a much worse position.